If Shapeways is the Etsy of the 3D printing world, Layer by Layer is the iTunes. The brand new online marketplace provides a place for designers to sell one-time prints of their designs, from vases to phone cases to toothbrush handles. 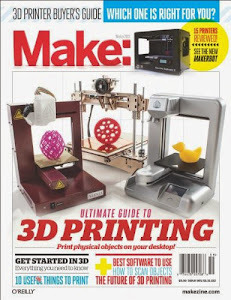 The key phrase is “one-time.” Unlike sites like MakerBot’s Thingiverse, which allows you to download design files to your computer, Layer by Layer users do not receive a file. 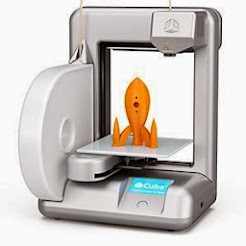 After they hit the “Print Now!” button next to an object they desire, Layer by Layer sends instructions to their personal 3D printer, automatically printing that object. The lack of a file transfer presents a layer of protection for designers who wish to keep their original design under wraps. When someone posts their design on Thingiverse, they are broadcasting it to anyone who cares to look and enabling endless duplication. That’s not a good feature if they want to make money off of their design. Right now, a lot of sellers turn to Shapeways, where they can set up a virtual shopfront with their designs. Shapeways takes care of the entire 3D printing process and ships objects out to buyers.